Yesterday I discussed how the United States is a nation of lazy eaters. 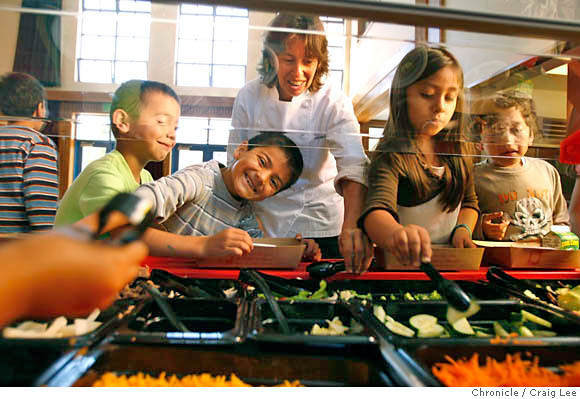 In this video Ann Cooper discusses how we can change our school's nutrition programs. Thank goodness for people like Ann Cooper. She is not only saying we should change, but showing how we can change. Schools in the United States are serving highly processed meals every day. How much calcium, vitamin C, vitamin D... is in this meal? We need to change what we feed our kids. 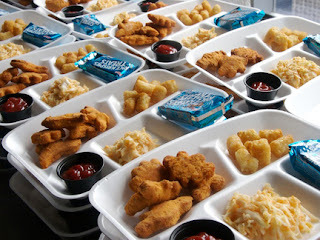 Teach them proper nutrition habits so they can grow to be healthy, successful adults. This is what we should be feeding our kids... Nutrient dense vegetables!!! Poor health is a direct result of poor nutrition. You really are what you eat! It is time to change our nutritional habits as a nation. It is time to stop making excuses. We can no longer take the easy way out. It is time to start educating ourselves, and our children so we can reverse the downward health trends in our country.